This project has been running since May 2014 with 32 schools in Porirua City and the greater Wellington region taking part. The project is evaluating the effects of an integrated approach to early literacy instruction on children’s literacy acquisition in their first year of school. Seventeen schools are trialling the approach and 15 are continuing with their usual programmes as comparison schools for the first year. If the results show that the trial is making a difference, the comparison schools can opt into using the approach at the end of the first year (July 2015). Joy Allcock, Shine Literacy Project leader, opened the meeting by thanking all schools for their commitment to the project and for being so welcoming and supportive of project personnel. 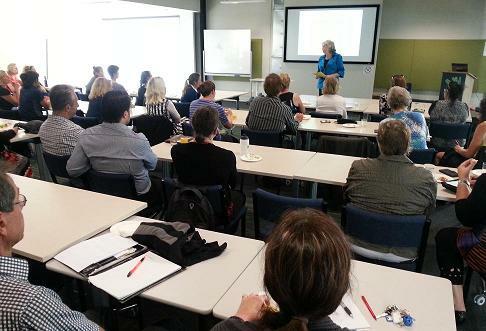 She emphasised how important the collegiality between teachers has been to the success of the project so far. Teaching strategies have been adapted and improved in different classrooms and these ideas have been shared between teachers and schools. At the meeting Nick Leggett, Mayor of Porirua, explained some of the support required for community-based activities. He referred to the role of Shine in supporting and coordinating initiatives such as this project. He also talked about Porirua City Council’s commitment to ensuring that children are at the heart of all long-term plans for the city. He described some very innovative initiatives that the Council is working on which show an unique and forward-thinking approach to planning for the future that will enhance opportunities for young people in the city. This literacy project was able to start because of the support of Shine, in particular because of the work done by John Cody. Nick Leggett described Shine as a backbone movement with the role of making useful connections among organisations. The strength of this approach is that it brings together many groups in the community to work together towards a common goal, but much of the work done is ‘behind the scenes’. This ‘behind the scenes’ networking approach has generated a great deal of support from many organisations for the Shine Literacy Project. This support came from the participating schools, the Porirua Foundation, Te Kura, FRESCO and several trusts that made substantial contributions. It is a true community initiative. Massey University has generously donated the research expertise of its researchers from the Institute of Education to design and evaluate the results of this project. Professor James Chapman, the lead researcher, came to the meeting to explain the results. The first round of results only relate to children’s first 16-18 weeks of school so it is very early days, but Professor Chapman said that the trend of the results is definitely in the right direction. Children in the lower decile trial schools made the most progress. On average, they more than doubled what they knew about key aspects of writing and reading over this time. When the first graphs showing this progress were presented there was spontaneous applause from the audience! This was a real reward for all who have contributed, and it encourages us to renew our efforts to maintain this trend. The results compared the progress made by children in low and high decile schools. Overall the challenges these groups face are very different. Children who start school with more literacy knowledge, typically those children in high decile schools, usually make more rapid progress than those who start with less knowledge - the gap that exists at school entry slowly widens. This was not the picture we saw for children in the trial schools. The rate of progress was the same for children in the trial schools whether they were in a high or low decile school. The gap that existed when they started school did not increase. This is very encouraging. In the comparison schools, children in the high decile schools made more progress than those in the low decile schools – evidence of the increasing achievement gap. Results show that all children have made improvements in all areas of knowledge in both trial and comparison schools in their first 16-18 weeks at school. What we set out to do in this project was to target certain skills that are essential for literacy development and to ensure that they were all taught explicitly from the start. The areas of targeted, explicit instruction that are the focus of our trial have produced more rapid gains for children in the trial classrooms. This does not mean that the comparison classrooms have not performed well; it simply means that targeted instruction can produce greater gains. We are very encouraged by the trend of the results, which is definitely in the right direction. The next round of testing will be completed at the end of June 2015 where we will be retesting children after 37-38 weeks at school. A second report of progress will be available once these results have been analysed. In the meantime we are continuing to fundraise to keep the project going, and to grow when new schools join the trial in July this year. We need funds to pay the research assistants who do the testing, and the coordinator who keeps the project running and provides support for schools when required. We also need to continue to provide resources for classroom teaching and for home/school use so that we can show families what their children are learning. We are launching a page on the Spark Foundation’s Give a Little website and hope to generate financial support for the project through this. 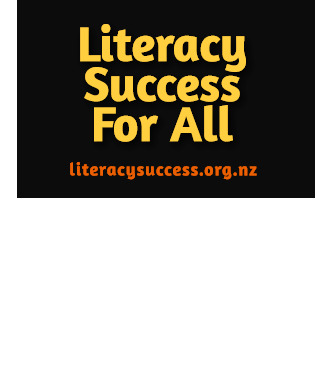 Our page is called ‘Literacy Success For All’. Original generation time 1.3840 seconds. Cache Loaded in: 0.0605 seconds.